A 46-year-old man, Olusegun Emmanuel has been sentenced to a year imprisonment by an Osogbo Magistrate's Court for defrauding two persons who desired to procure international passport and travel abroad. 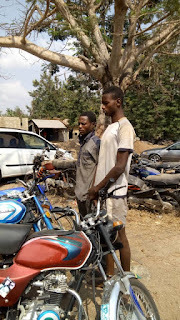 The Nigeria Security and Civil Defence Corps on Friday, 29th March, 2019, had dragged Emmanuel to the court and prosecuted him. NSCDC prosecutor, S.B .Basambo accused Emmanuel of fraudulently and trickily collecting the sum of four hundred and seventy thousand naira from the duo of Olowofela Adebayo and pastor Babatunde Emmanuel after promising to secure passports and visa for them. Emmanuel was said to have failed to fulfil his promise to the victims. Amiloaded gathered in court that the accused person committed the offence in 2014 in Osogbo. The civil defence prosecutor argued that the accused committed an office contrary to and punishable under section 421 of the Criminal Code CAP 34 Vol.2 of the Laws of Osun state of Nigeria. A copy of the charge sheet marked MOS/459c/18 that was obtained by Amiloaded revealed that Emmanuel was convicted of the allegations and sentenced to one year imprisonment without option of fine by Magistrate Badmus of Court 5.